Hi, i clicked these images (attached herewith) while staring at sky from my iphone 7 plus, on way from Panyu to Dongguan (Guangdong Province, China). The object vanished quickly when I was changing phone setting to video mode. Earlier there were aeroplanes flying in same direction. so, I am very confident that this is not a aeroplane nor a drone. 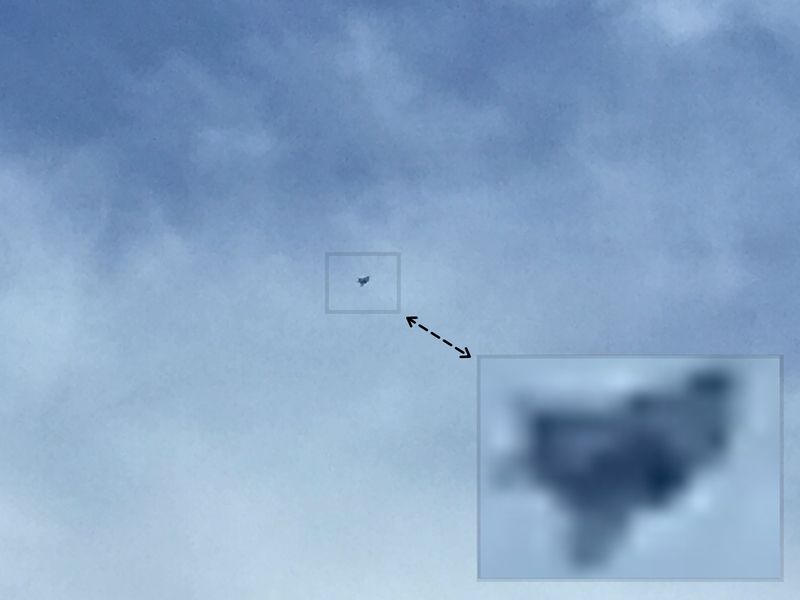 Please advise me what is this as i am curious to know if its some UFO or something else. P.S: image 2 is with 10x digital zoom. 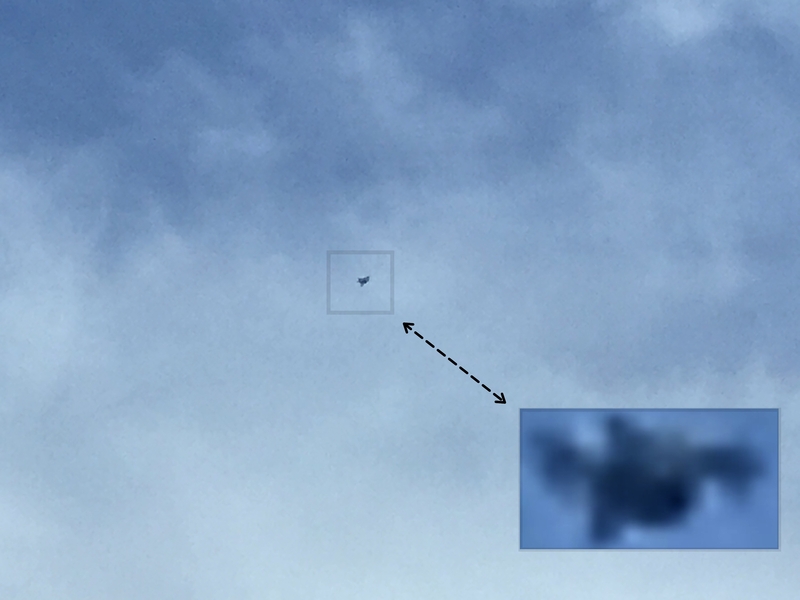 BEAMS comment: Clearly the object has morphed between photo 1 and 2, before it vanished completely from view: Might it be merely an inflatable advertising or kids 'character' balloon (perhaps only partially deflated here)? Doesn't somehow quite fit the bill does it? - and, bit of a rubbish color for that wouldn't you say?